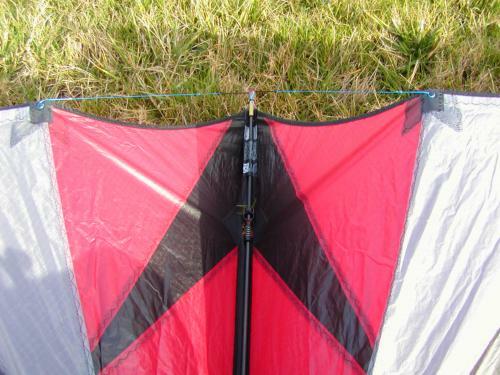 Materials: Polyester sails, CFK spider pultruded frames, and a mixture of PSD and Jaco fittings. 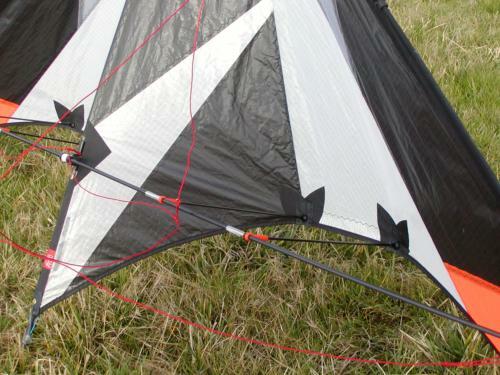 The Xtreme sports a 14 panel layout with a mix of taped and folded seams with zigzag stitching. Fabric used is PC-31. 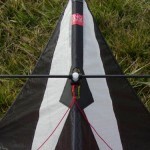 The Upper Leading Edge connectors are covered with the dacron leading edge reinforcement material with the “D“ style cutout. 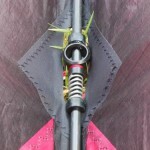 Yo-yo stoppers come pre-installed they are the tie-wrap style of stopper. 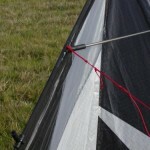 The Xtreme comes with a leech line tensioned at the wingtip knocks. The knocks are covered with a vinyl cap. 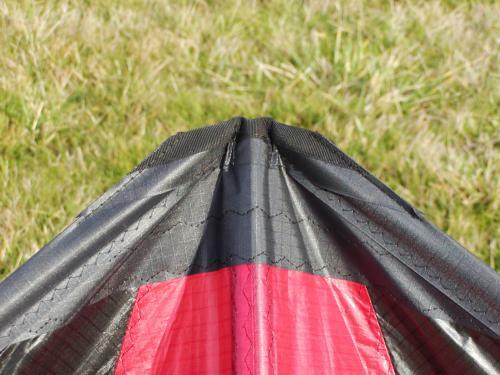 There is mylar reinforcement strip on the back of the sail between the inner and outer standoffs to aid in durability from a number of environmental stresses. The Xtreme’s both have 3-point bridles with keeper lines between the upper outhaul and inhaul line for prevention of any possible tail wraps. The dimensions are the same for both versions. 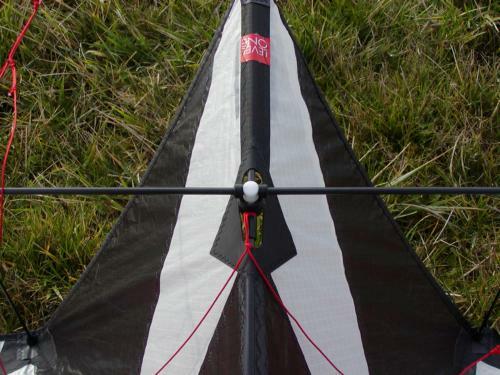 The ubiquitous but always welcome quick mount bridle system is present on both for fast adjustment to your flying conditions and preferences. 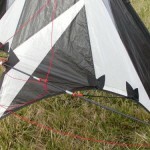 The Xtreme light uses a 5.5 mm spine, 4.5 mm leading edges and 5 mm lower and upper spreaders. The rotating center T fitting is the same type for the light and the standard. This same type I have seen employed in the past on the Level Two model. So this method makes for a one piece lower spreader assembly that rotates vertically for storage into it’s storage sleeve. 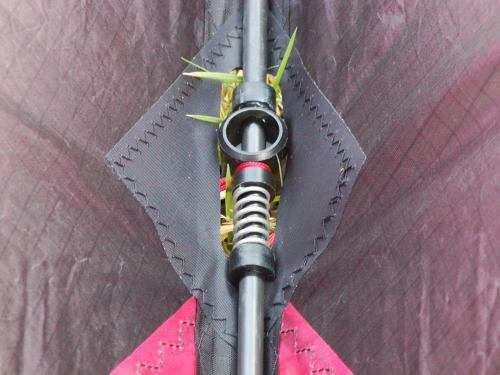 As for the standard it has 6 mm spine, leading edges, upper and lower spreaders. Level One has thrown in a couple of “xtra’s” for the standard they have added a fixed 6 gram weight to the base of the spine. They have also included something I have not seen from them before a shock absorbing spring just above the center T for any possible atomic lawn darts that may occur. 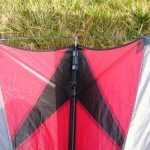 The useable wind range for the Xtreme Light would be 2-9 mph although at 5 mph I would put it away and fly the standard. 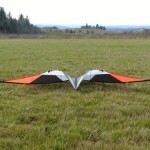 The standard likes 5-15 mph although I have not been able to test it at the upper wind range so far. 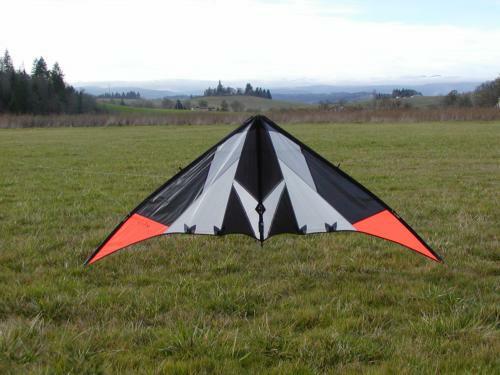 I have been able to test in some higher winds like 5-10 mph it can become fast and quick as I would expect approaching the double digits but still trickable. Pull is light and I don’t expect much of any difference at the upper wind limits for the Xtreme’s because of their size. They are not overly sensitive to inputs. I didn’t detect any oversteer tendencies. Flat spin tricks like the Axle and 540 improve with added weight to the spine. They typically are degraded with the added weight, and I was fully expecting this to happen so I was pleasantly surprised. This was at least the case with the Xtreme Light. I preferred to have 6 to 7 grams of weight on the light just like the standard. Undoubtedly yo-yo’s are the standard Xtreme’s strongest trick you can wrap it forwards or backwards multiples too. The light doesn’t quite have enough mass to hit them at will like the standard. The stopper placement is just about right. 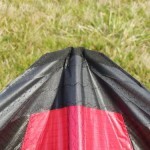 Backspins are easily initiated and maintained for as long as you have the gas. Rising backspins are there as well. 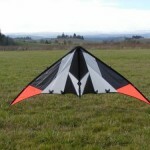 Flat spins are quick and fairly flat. Insanes are quite good on the Xtreme. Flic-flacs are good on each. The Xtreme Light will flic-flac fairly well without losing much vertical space especially with the 6 to 7 grams of weight added. 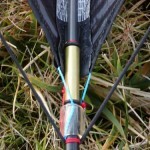 I found that mutilazies can be inconsistent if the proper line tension is not adhered too on the Xtreme standard. It has the tendency to roll up on you after a rotation or two. 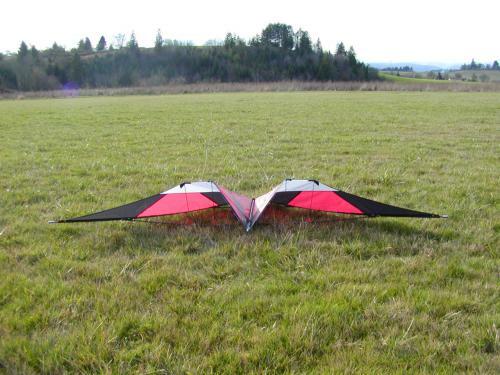 The Xtreme is easier to multilazy if you take it slow coupled with the effective line management. 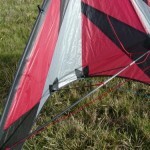 The multilazies are easier to do on the Xtreme light because it will hold the turtle more so than the standard. The jacobs ladders are pretty straight forward on the light whereas the standard can be a little less forgiving with sloppy timing and execution. 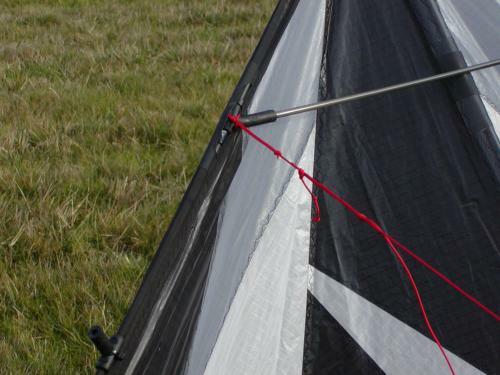 Precision need not apply to full on trick kite of this style…however the Xtreme tracks a pretty decent line once pointed in the direction intended. It’s the turns that it tends to bobble in a little due to the pultruded frame I suspect. 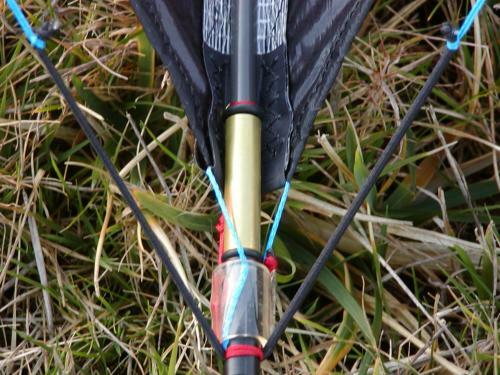 The Xtreme takes small to moderate inputs to yield the results you desire. Speed will be moderate to fast with the standard depending on wind speed. 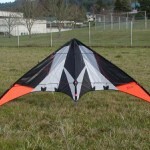 The Xtreme light’s forward speed is slow to moderate. with the Challenge coming in right behind it. 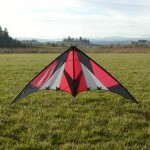 The Xtreme flic-flacs quickly similar to the JTM. The Xtreme flat spins better than the JTM, whereas the JTM can eat the Xtreme’s lunch when it comes to jacob’s ladders. The Xtreme has that “Thank-You may I have another” approach to it’s tricks where it can be ready and waiting for another before you are. I enjoyed it’s ability to yo-yo(front-flip) from a fade at the top of the window fly down unroll into a fade near the ground roll out and into another yo-yo(back flip) stop and unroll it midway up the window rinse and repeat if you like. Backspins and backspin cascades are quite a bit of fun with the Xtremes as well. The Xtreme’s certainly have their own personality which is very tricky within the Level One line-up. 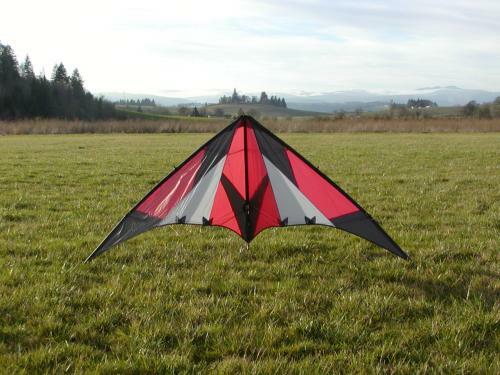 I applaud them for making a fairly good trick kite in this price range in this market demographic. Time will tell how it will fair against lower priced models with similar abilities in this segment. 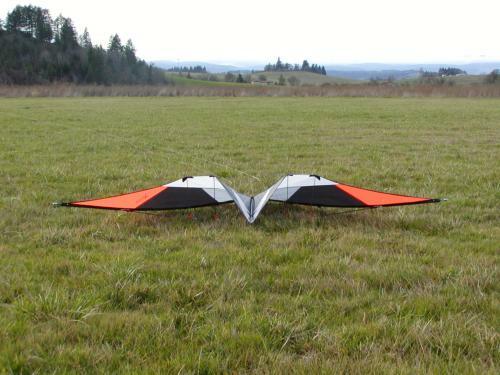 One thing going for it is they also have the light version where others do not so you have a little broader wind range to fly in. You also get that Level One build quality as well. 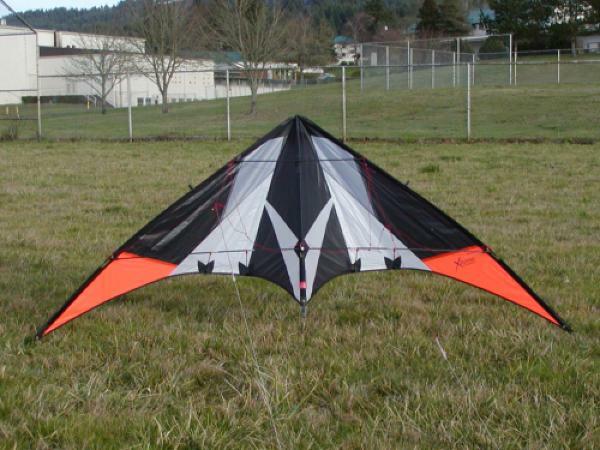 This kite can appeal to a broad range of flyers but would be very well suited to intermediate flyers looking for a durable kite to work on yo-yo based tricks as well as old school tricks. 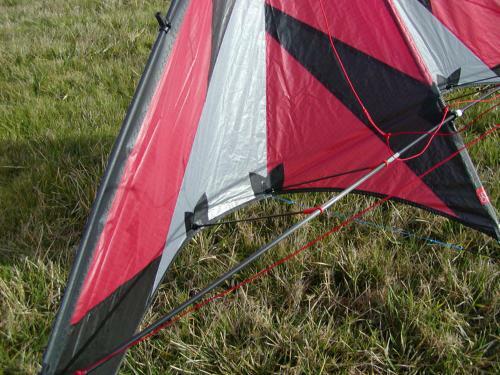 This entry was posted in 2005, Dual Line, General Topics, Issue 41 (Mar/Apr), KL Archive and tagged Level One, review, sport kite, xtreme.